When his punk band, the Pop Rivets, broke up in 1980, Billy Childish formed a new group with Mickey Hampshire, a Pop Rivets roadie who had been performing in a group called Mickey and the Milkshakes. The two began writing songs together and released their first LP, Talkin’ About, in 1981. 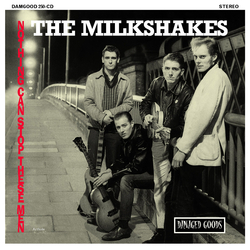 With Childish on guitar and vocals, Hampshire on guitar and vocals, Bruce Brand on drums, and Russ Wilkins (later replaced by John Agnew) on bass, the Milkshakes sound was a primitive blend of British beat groups, like the early Kinks at their toughest, and hard-rocking American guitar instrumentalists, like Link Wray. This sound came to be known as the “Medway sound” and Childish has been playing a variation on it throughout his whole career. 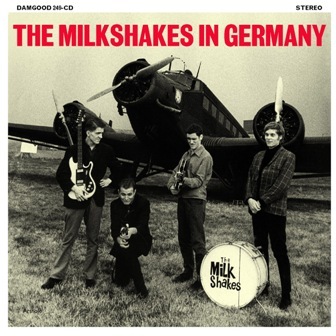 The Milkshakes were a very prolific group, recording nine records in their six years together. Childish and Hampshire split the lead vocal duties and the band was very much a blend of Childish’s primitive songwriting and Hampshire’s more melodic leanings. The group also masterminded and backed a Medway girl group, the Delmonas. The Milkshakes broke up in 1984 and Childish, Brand, and Agnew went on to form Thee Mighty Caesars where Childish’s raw punk-blues could roam untainted by any semblance of professionalism. This album was originally released in 1983 on the bands own MILKSHAKES records based in Kentish Town London. It has never been re-issued and has never appeared on CD before. 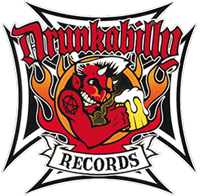 The artwork had been lovingly restored by original Milkshake Bruce Brand and its also been remastered from the bands original master tapes.